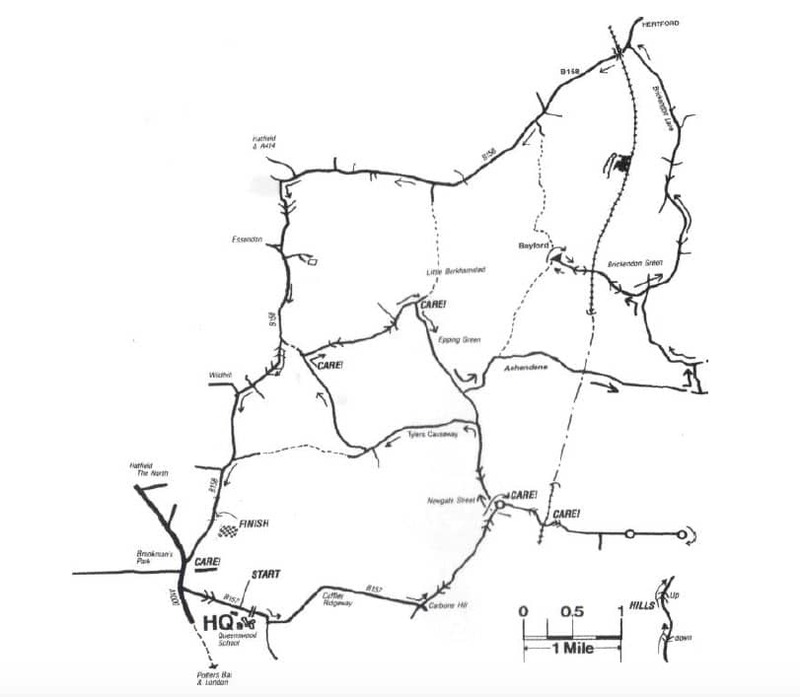 The course is a series of twists and turns, running on small roads north of Potters Bar, passing through villages like Essenden. The terrain is best described as ‘lumpy’ with several short sharp climbs. It is course best suited to a ‘puncheur’ – there are no smooth long climbs, but a series of ups and downs. The first 15 miles, feels like a very slow rollercoaster, there are quite a few 90 degree turns and frequent dips and climbs. On the downhill you try to pick up as much speed as you dare – to carry you up the other side of the hill. It is the kind of course, where you can go from 45mph to 10mph on a regular basis. Ideally, you would ride the course before hand to get used to the corners and know the course. I spent all week studying an OS Map 1:50,000, and just about managed to remember the course. 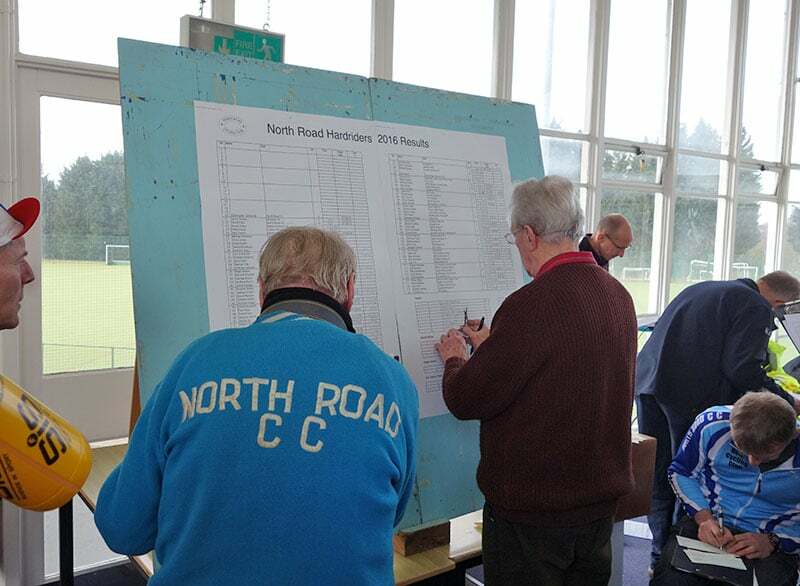 However, the course was excellently marshalled with signs 200m before every turn and marshals pointing the right way. It’s always possible to get lost when racing, but it was signposted as well as you could hope for. The final thing about the course is that there can be a few tricky moments with horses on the roads and slow moving vehicles. You can’t expect a smooth run all the way around. After a hilly first 15 miles, the last 10 miles or so, are on smoother faster roads, without so much hills. It’s an opportunity to put it in the big ring and try and raise your average speed. 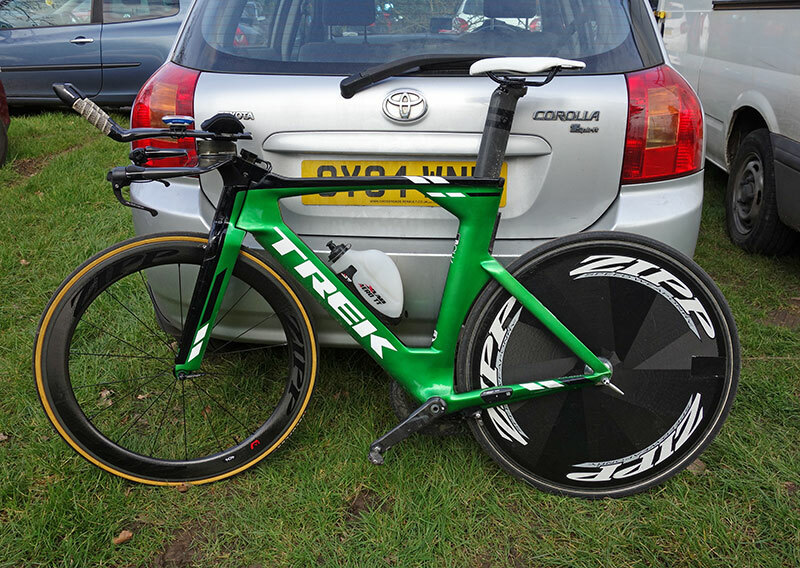 I used TT bike, discwheel and Zipp 404. I’ve been wanting to ride the North Road Hardriders event for the past 10 years. In fact, this is the fourth time I’ve entered, but have had to dns three times. I very rarely dns – but in late February, I’ve often been susceptible to winter injuries, niggles and colds. I only made a late decision to enter this year after another stop start winter, but feel glad to have finally made it around. It was 3 degrees Celsius on arriving at the rather plush HQ. It presents a dilemma of how much clothes to wear. Some will say, man up – just ride a skinsuit – like in July. But, these people are rarely 190cm and 61kg. I chose to wear leg warmers, two pairs of gloves, two pairs of socks (+ hotpads). I wore the ASSOS skinfoil baselayer underneath the skinsuit, and this worked out pretty well – it is as warm as two or three normal undershirts. As it happened, it warmed up quite nicely during the race, and was a positively barmy 7 degrees by the finish. I think that dry, sunny and 5 degrees counts as excellent weather for the North Road Hardriders. In a bid to keep warm before the start, I nearly missed my start. Usually, I’d be happy to wait by timekeeper for a few minutes, but this time I tried to cut it fine. In fact, it was very fine – 15 seconds to go by the time I got to the start, just enough time to fling off the last jacket. Then I was away. I’ve had a good month of training in February, but nothing which was like a proper race, so it’s always hard to know how to pace first event. I went quick up first climb and then tried to hold on. I occasionally looked at power, but you can’t really ride to power on an event like this. The last 10 miles, I could put out big effort and increased average speed and really flew up last few drags, so perhaps I held a little bit too much back on the hillier part of the course. But, overall it was a fairly decent pacing effort for the first outing of the season. Fastest junior was Michael Parry (Welling Wheelers) and quickest veteran on standard was Roy Chamberlin (Corley Cycles). 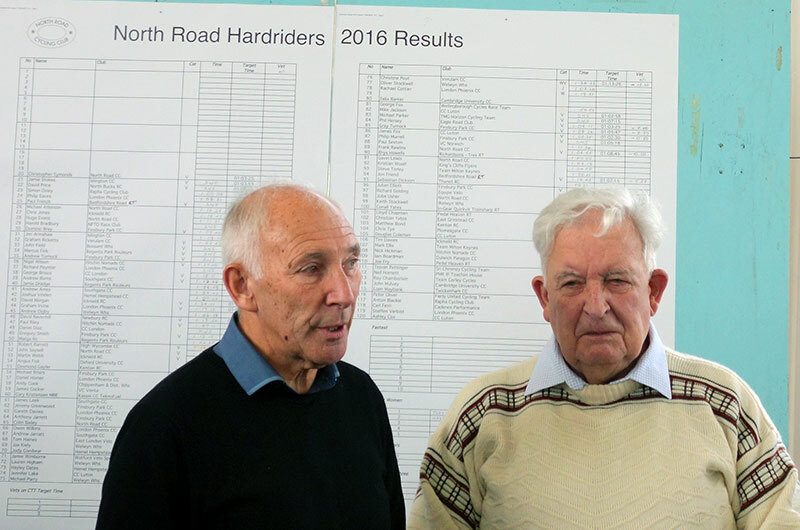 Just before the results, Phil Liggett was awarded The Fred Bidlake Memorial Prize. This is an annual cycling prize given to the most outstanding performance or contribution to cycling. Phil sounded just like he does on TV, I half expect to see visions of the French Alps when I hear that soothing, reassuring voice. Prior to 1955 event promoted by Kingsdale C.C. 2012 Wouter Sybrandy IG Sigma Sport 56:36 Course record and 25 mile event record. Congratulations Tejvan. That is a brilliant result considering it is your first race of the Year. I saw you blasting up the final hill on the course. It was insane how fast you were going! Definitely hear you on the “interruptions”, i had a horse, a learner driver and two other.cars haha – you did a cracking ride mate! 1961 Hardriders result: my name is spelled Bompas. Thanks.